120 eyeshadows in one? decent quality with affordable price? Way to go Coastal Scents! Definitely grabbing this palette a lot lately, especially when I want to play around with some colors and experiment. 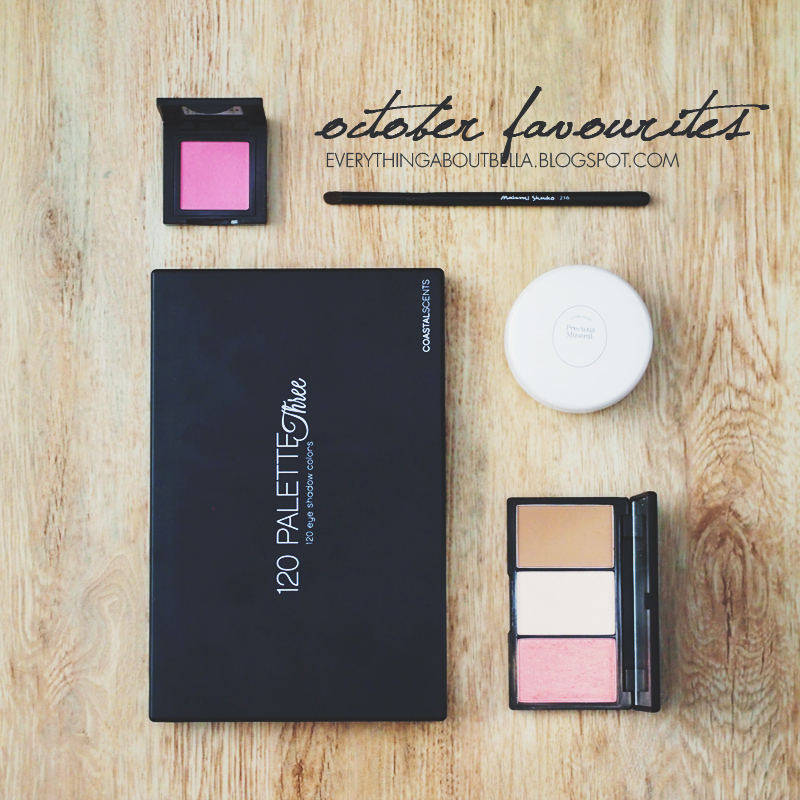 Pas banget deh palette ini buat nyoba-nyoba. Super worth it dan ga bikin kantong bolong. My pick went to Palette number Three because of the pretty dark colors and I have to say that I'm glad that I chose this one. 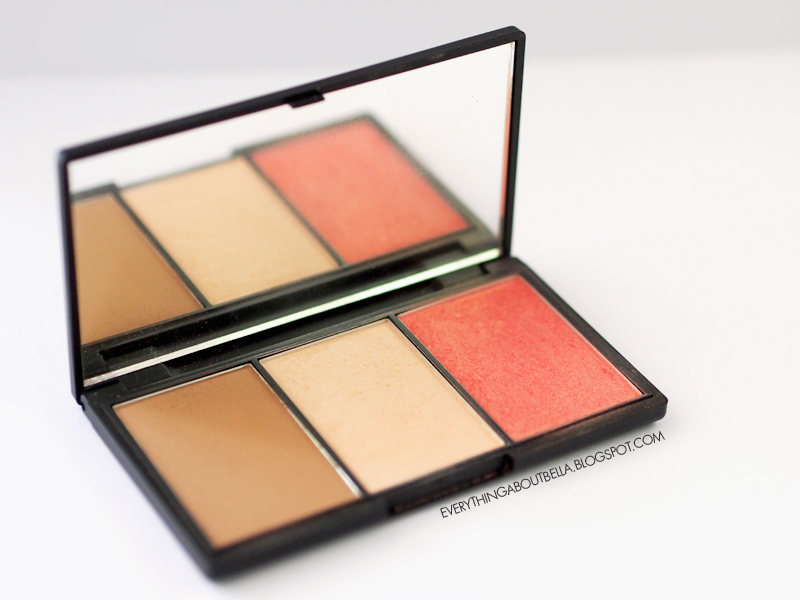 Not a fan of the shading color but I am super loving the highlighter and the blush. Bagus banget deh beneran, highlighter-nya di pake di tulang pipi tuh bikin kulit jadi keliatan kinclong banget dan warna blush-nya juga oke banget! Gives my face a subtle pretty glow, definitely an amazing yet affordable product to accentuate my cheekbone and make my skin look 10x healthier. The color is amazing, and a little goes a long way. I mean it! Crazily pigmented and it stays for a decent amount of time. Mau subtle? Apa mau pake sampe jadi mehong? Dua-duanya bisaaaa. Perfect color for my skintone. 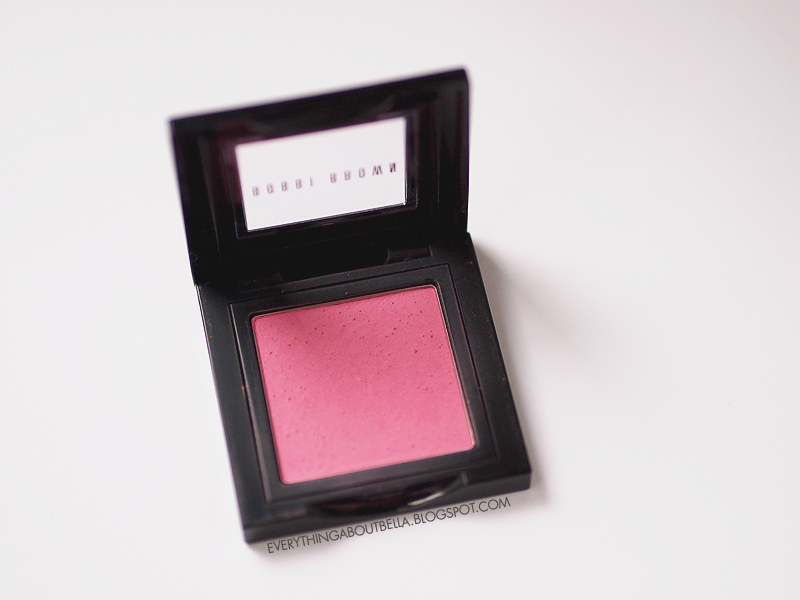 What more could I ask from a blush? Except it is a little pricey maybe. I got it from my mom because she doesn't really like the color. HURRAH! Super lovingggggggg this brush. Been using it non-stop to blend colors onto my crease. Super soft. Oh and the fact that it's completely black in color, makes me look hella professional using it. Yea right you wish Me gusta! It's been my go-to heels for the past few weeks. It's just so versatile that it matches every outfit I've been wearing. 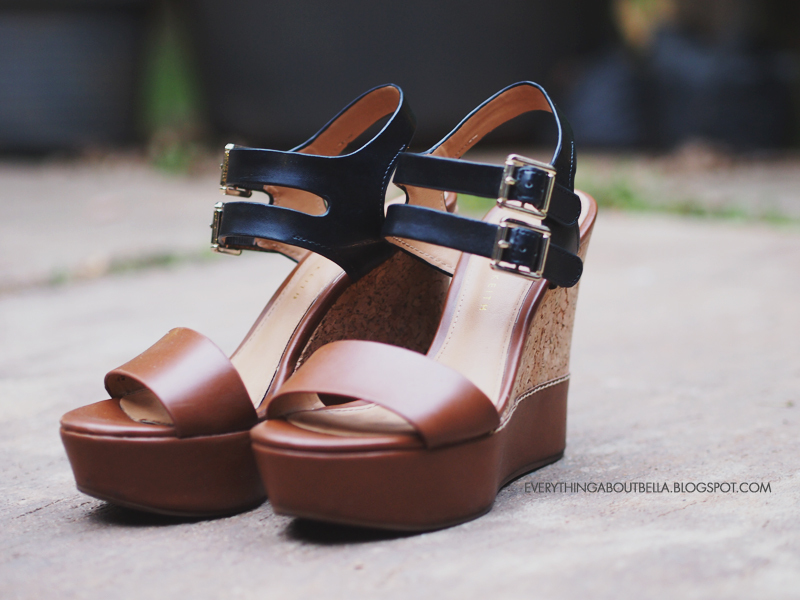 Heels lain serasa invisible. Tiap liat rak sepatu, pasti pengennya pake ini-ini doang. Orang lain mungkin sampe bosen liatnya, who cares, me love it! Kalo kalian belum tau, I'm an avid fan of Milk Tea and I always, I repeat, always crave for it every now and then. Tapi kan ga bisa beli setiap hari dan ga mungkin juga kan buat sendiri dirumah. I know it's not that good for your body, but milk teas are just too awesome to resist. I just can't. This Bear Brand milk with White Tea is literally the second best thing after milk tea. Walaupun ga seenak milk tea, tapi ini lebih sehat, well supposedly, dan size nya tuh mini banget! Jadi cocok banget buat kalo sekedar fulfilling my sudden crave. Phew! Oh! I'm writing in combined language, no reason in particular, just suddenly felt like doing it. Ga salah juga sekali-kali ngepost dalam Bahasa Indonesia, siapa tau dapet fans or reader baru LOL. I still wrote more in English though, so everyone could still understand the main point. But if you don't understand please don't be disappointed. When I have more time, I'll try to write in both language. I promise I will try to be more active. I will be going to Thailand for my cousin wedding from tomorrow till next week. I know I have a lot to catch up, will definitely make up for it when I am back! 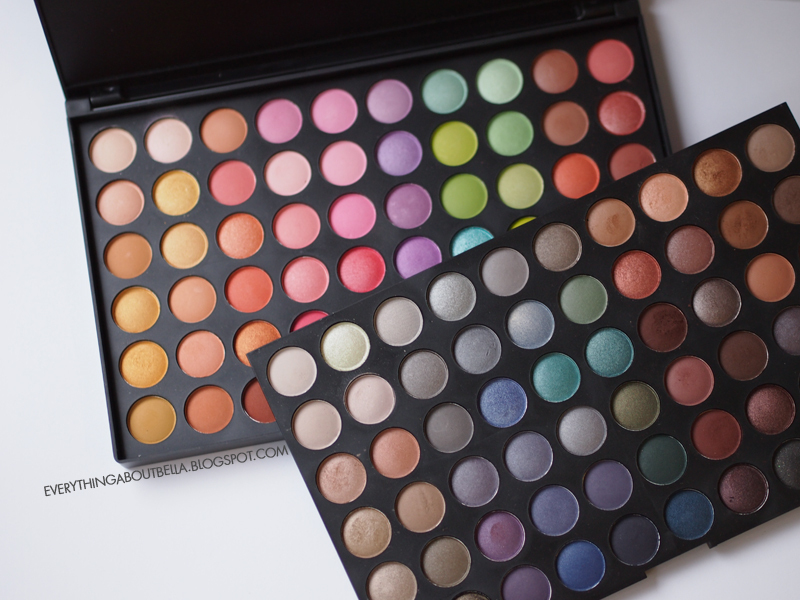 120 colours in one palette!!! Whoa~ I don't know if I can manage to use all the colours let alone finish them! hehe nice post by the way! Looking forward for next month's! 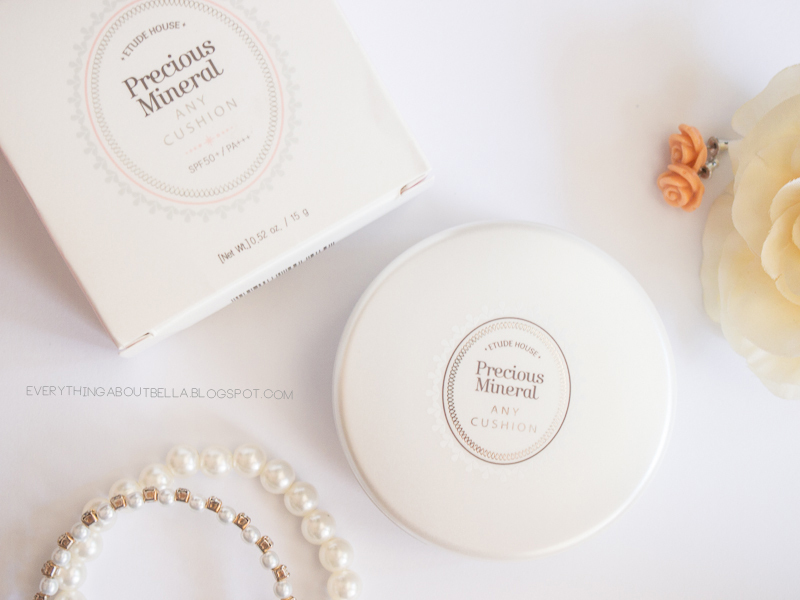 The Etude House Precious Mineral Any Cushion in Natural Beige W13 looks amazing! I think I will try it out next <3 Looking forward to your next months favorities! Yes! I love especially the highlighter :3 kekeke. Give the etude house cushion a try, you'll love it! Thank you and I am back!